In Australia, hundreds of law-abiding rural citizens have had their valuable property rights permanently destroyed by wind power outfits – with knowing assistance from all levels of government. Some might call it “State-Sponsored Theft” …. well … that’s what STT calls it. Here’s the view from Ontario. Residents in communities with existing and proposed wind farms have felt their concerns have been largely ignored by the provincial government, which is able to override municipal decisions regarding where wind farms can be located. Wind farm development was allowed to proceed despite not reaching resolution on this issue. This is due in part to a lack of scientific evidence regarding these impacts. Studies in other jurisdictions around the world have not provided a clear answer as to whether property values drop when a wind farm is built nearby. Negative impacts on property values have occurred in some jurisdictions including in the Netherlands, but not in others. To determine whether property values have changed as a result of wind turbines in Ontario, I conducted a study using sales of rural residential properties. In particular, the study focused on counties in southern Ontario where wind farms have been constructed. This study also addresses underlying reasons for the lack of consensus across related studies in other jurisdictions. There are a number of potential contributing factors, including the possibility that differences in attitudes toward wind energy may influence the likelihood of property value impacts. Areas with greater opposition to wind energy development may be more likely to experience negative impacts on property values. I examined the degree to which differences in attitudes influenced property values in Ontario. Ontario provides an ideal setting to examine whether differences in attitudes influence property value impacts. To date, 95 municipalities have passed resolutions to declare themselves “unwilling hosts” for wind farms. They did this to protest the provincial government’s ability to override municipal decisions on the location of wind energy facilities. While these declarations are only symbolic, they show that most residents oppose wind energy, since these declarations tend to be made in response to requests for public input and feedback from residents. In contrast, other municipalities within the province have supported wind energy development. As such, the unwilling host designation can be used to identify differences in attitudes toward wind energy across municipalities. 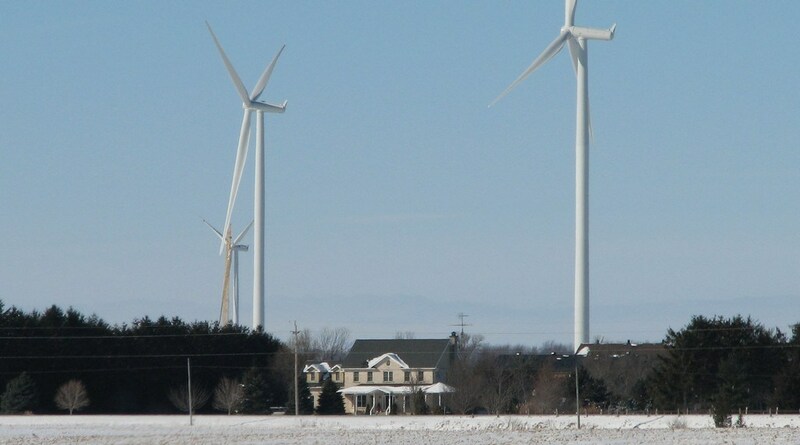 The first component of the study determined whether wind turbines have affected property values in Ontario. I analyzed sales data from more than 22,000 rural residential properties across 14 counties in southern Ontario between 2002 and 2013. Many of these properties are in close proximity to wind turbines. Wind turbines caused negative impacts on property values up to four kilometres away, with these impacts ranging from a four per cent to an eight per cent decrease in property values. The magnitude of the impact increased as the number of wind turbines in close proximity to the property increased. These results support the concerns of residents of communities with existing and proposed wind farms regarding the potential loss in value of their properties due to wind turbines. The analysis of the sales data for each group yielded interesting results. Wind turbines had a negative impact on property values only in unwilling host municipalities, while no impacts were observed in unopposed municipalities. These results suggest that residents’ attitudes toward wind energy may influence the nature of turbine impacts: jurisdictions with greater opposition to wind turbines may be more likely to experience negative impacts on property values. Prior to my study, there had not been a comprehensive study conducted in the province on the impacts of wind turbines on property values. The results may help to explain the lack of consensus that exists across prior studies regarding this issue. It could be the case that the concerns expressed regarding potential negative impacts draw considerable local attention to this issue. This, in turn, could influence perceptions of turbine impacts and the resulting demand for affected properties. Any takers? All bids considered…. The results of this study seem suspect to me. The property value losses seem very modest. Again, property sales do not tell the whole story as they fail to show length of time on market or those residences pulled from the market as unsaleable at all. 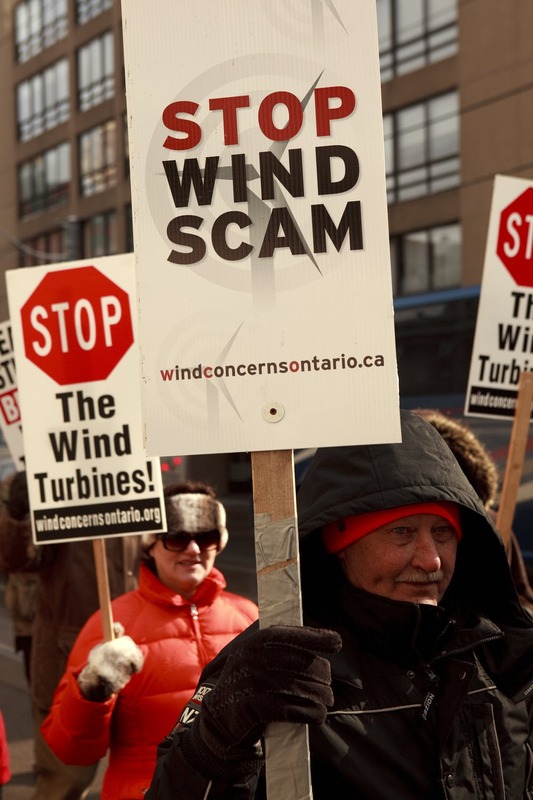 Moreover, the Unwilling Host ‘movement’ did not start until 2013 when the Premier of Ontario conveyed the Government’s desire to limit Industrial Wind Turbine Projects to communities that were willing hosts. (During the years of the Liberal government rule, municipal powers for vetoing, planning and zoning were never returned to the municipalities, so the ‘declaration’ of being an Unwilling Host community was more a statement on principle). Mr. Vyn’s study covered the years 2002 – 2013, so it does seem anachronistic to use the metric of Willing vs Unwilling Host to split the data. Interested readers can view the prototype letter for Councils to adopt declaring their ‘Unwilling Host’ status at http://ontario-wind-resistance.org/not-a-willing-host/ Please notice the 2013 date. This page also provides a list of municipalities which had passed resolutions – but the list is likely now outdated as others have since signed on. We know the results are rigged to make a bogus claim about willing host communities not suffering significant property price decreases. Although the author of the study only says that those prices did not decrease, what he does not identify is whether they would have increased (which in nominal terms they should have over that period). However, notwithstanding the sample selection bias, this was an article appearing in the Conversation where it was at least conceded that property values fell as consequence of neighbouring wind turbines, and by the greatest margins whether turbines were the closest to the homes in issue. Coming from the Conversation (a Green-left playground for progressives), the concession that wind turbines decrease property values is significant, in itself.